Treat yourself to a heated, deep muscle massage at home or on the go. 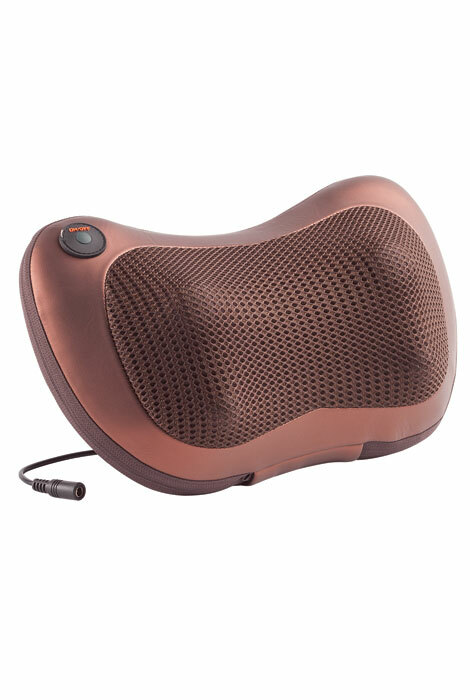 Shiatsu massage pillow features 4 massage heads that reach deep to soothe muscle tension and soreness. Use it up to 30 minutes on your neck, back, arms, legs, and more to unwind and ease pain. 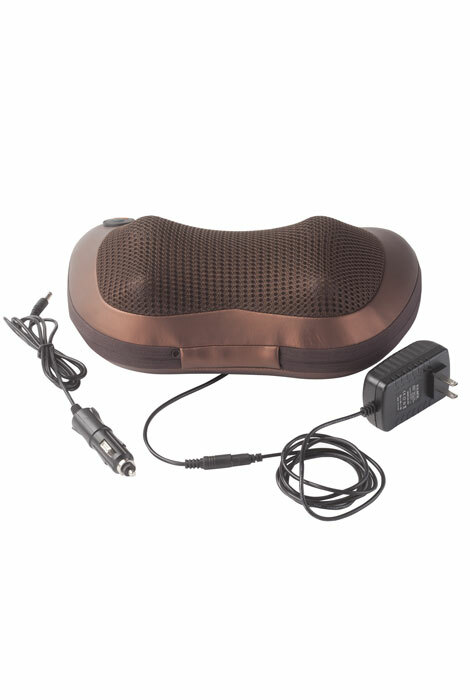 With its simple on/off switch, 70”L power cord and included car adapter, the massaging pillow is easy to use anywhere. 20W, 110V with UL adapter. Use it up to 30 minutes on your neck, back, arms, legs, and more to unwind and ease pain. 70”L power cord with included car adapter. 20W, 110V with UL adapter. My son is having back pain.